Complimentary tags you receive are fully functional dynotag products, powered by the same Dynotag Cloud Service like all other dynotags. Terms and privacy clauses of the dynotag service apply to these tags just like any other dynotag product. Which countries are covered by this offer? At this time we ship to U.S.A. and Canada addresses only and plan to expand the coverage over time. How many free tags can I get? You can get one complimentary tag per household. What if I need more tags? You can obtain more tags from our resellers or our online store. 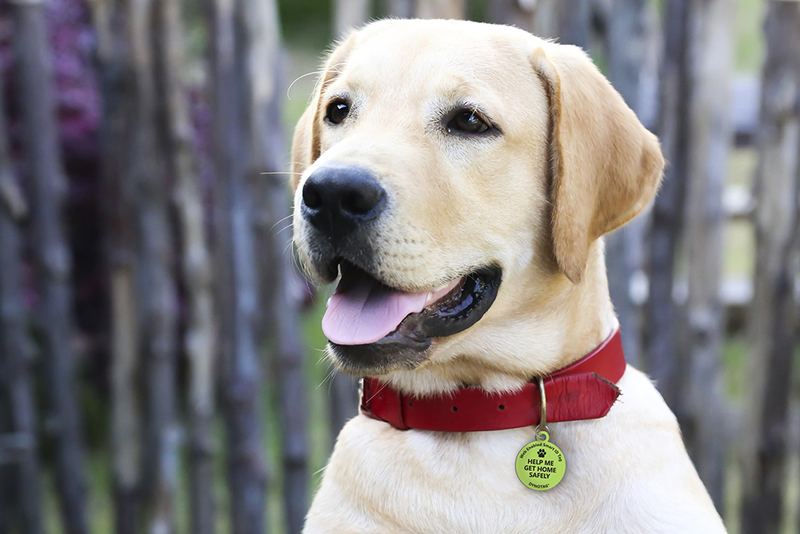 We have a wide selection of pet tags, most of them in durable steel with special noise-reducing protective coating. You can see our pet tag selection here. What kind of tag will I receive? You will receive our 30mm diameter round pet tag, with full “Gold” level functionality. Our Shelter Angel tags are constructed of tough laminated synthetic material which is lightweight and strong, as well as waterproof / weatherproof. What if I lose this tag? All retail dynotags, including these ShelterAngel tags are covered by our Warranty for Life, as explained here. You can use the process described to obtain a replacement any time. Is the “Good Samaritan Rewards” program in effect for my free tag?